Until recently, there has been no map for 45 bus lines in Metropolitan Managua, where about 80% of the 2 million inhabitants are dependent on buses to commute to work or school. Their sense of mobility is drastically reduced, because they do not know how to get to a new place away from their usual bus routes. Now, we really would like to take the next step and provide proper routing and feed existing mobile apps (such as Transportr, Allyapp, etc). This is the easiest and best way to provide Managua with a proper public transportation application. In order to achieve this we need to improve our data and convert them into a the standard for transportation data, the GTFS format. We need your support! Please donate to make it happen. A group of citizens, students and mapping enthusiasts decided to take this task. And we chose to use the existing tools and infrastructure around the OpenStreetMap project, which fit perfectly in our needs. 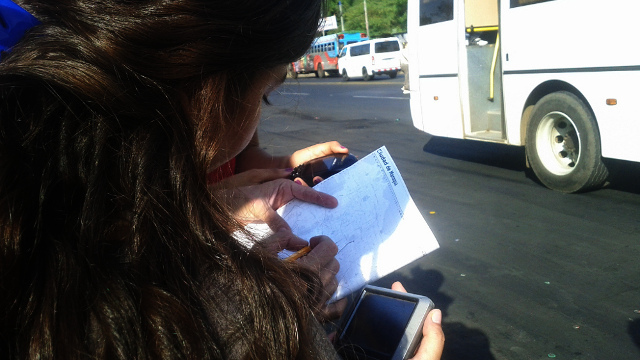 As volunteers, we collected colaboratively the geographic information and data of the entire city's public transportation network, with the motivation to make mobility in Managua and Ciudad Sandino more comfortable. The data is made already available on OpenStreetMap, where it can be downloaded by everyone, with a free license that allows the use and modification without any restrictions. We think this access to the information is important to guarantee sustainability of the effort and is an important base for an egalitarian development. Everybody is encouraged to create further innovation. When we started designing the map, we got highly inspired by the Digital Matatus project in Nairobi. In particular, how the to create a good design for informal transit, which perfectly applies to the less formal transit we have in Nicaragua. At the same time we had to be very careful and creative about the elaboration of the map. Our main concern was how to understandably present the city and routes so that people can read the information, even though it is the first time in their lives they are using a transit system map. We'll ship worldwide, no matter where you are! The design of the map is still in progress. 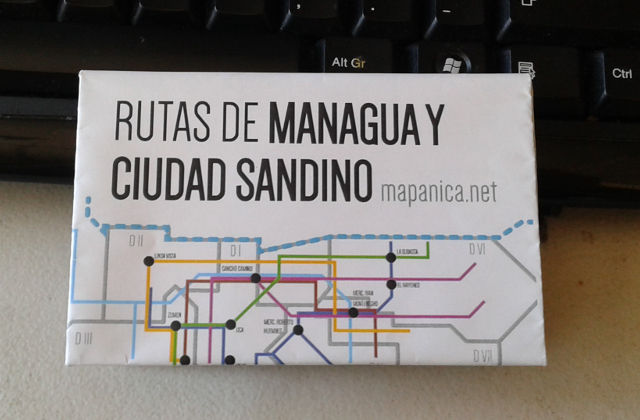 All articles will show the final version of Managua's transit map! 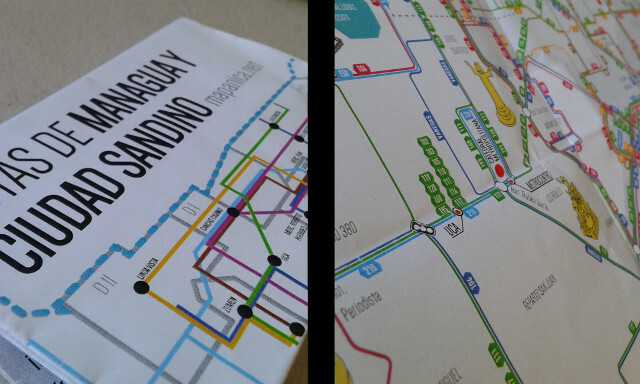 Get two printed transit plans of Managua. 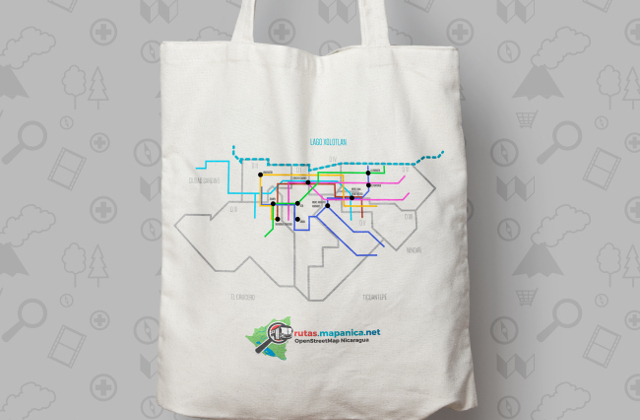 Get two printed transit maps and a bag with the transit map printed on it. 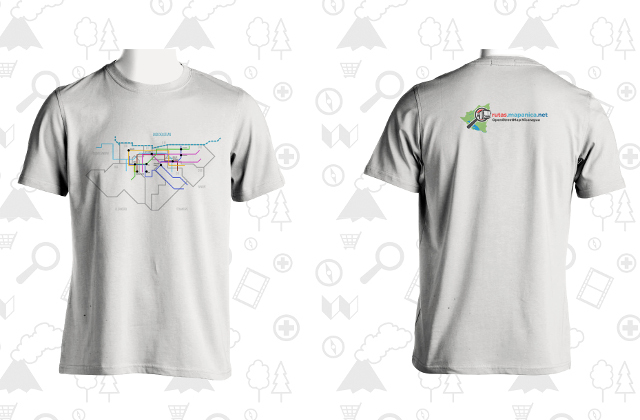 Get two printed transit maps, a bag and t-shirt with the transit map printed on it. 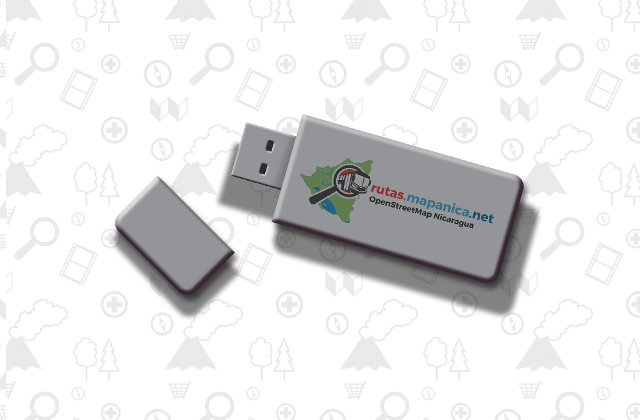 Get two printed transit maps, a bag, a t-shirt with the transit map printed on it and a MapaNica USB memory stick. MapaNica is the Nicaraguan chapter of OpenStreetMap. It is formed by a community of geographic information enthusiasts that have opted to use new free technologies. It is a very diverse group that includes professional cartographers, companies, non-profit organizations, programmers, students from various degree courses, and other citizens that use the participatory tools to help gather geographic information. The MapaNica community aims to create and distribute the best map of Nicaragua without any restrictions and in a collaborative and free way. This transportation map project is realized in partnership with The Humanitarian OpenStreetMap Team, which is a US-registered not-for-profit organization that supports Humanitarian Mapping around the world. It is a 501(c)(3) incorporated non-profit recognized by the Internal Revenue Code of the US Internal Revenue Service (IRS). Can companies support this initiative? Yes, of course! We are happy to honour a sponsorship with the institution's logo on the printed map. Please contact us for more details. I'm from Nicargua and can not use Paypal. How can I support? Please get in touch and together we find the most convenient way.